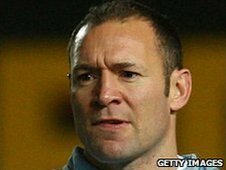 Leeds have brought in former player Diccon Edwards as their new head coach. He left the club a year ago to become RFU National Academy coach and will take up his new post in July after the Under-20 World Championships in Italy. The 38-year-old told BBC Radio Leeds: "It's something I've been looking forward to over a couple of weeks when I heard about the opportunity. "I'm really excited and passionate about the club and now I can't wait to get started." Edwards added: "Being a Leeds fan and the club being very much at my heart, the opportunity to influence and drive the development of the club and rebuild from where it was to where we want to be, is something that was a real key motivator for me." He played 76 times for Leeds before being becoming their head of youth programme and returns to Headingley on a three-year contract. Edwards worked alongside the previous coaching team of Neil Back and Andy Key as Leeds won promotion to the Premiership, and believes his close ties with the club will stand him in good stead. "I've got very strong relationships with the existing staff and probably over 50% of the squad are going to be academy products of which I had the majority of my time with, so to have that knowledge of what the club is, what it can be and who the people are who make a difference will be really important." A host of senior players have left Leeds following their relegation from the Premiership, so one of Edwards's main jobs will be to re-establish the club's successful youth system that produced the likes of Calum Clark and Joe Ford. "I'm very confident in the squad's ability to challenge for promotion during the season and very comfortable with the young players we have at our disposal. "The vision I see at the club is that the majority of the players are home-grown to form the nucleus of the squad moving forward. "Obviously we'll add to that with some experienced professionals, but for me the opportunity to develop, support and provide opportunities for young players who are locally produced is something I will press for and I know the club are keen to support."